Almost finished smoking Jim's Test VaPer in a 2014 smooth medium bend Basil Meadows egg with an aluminum band and a "root beer swirl" acrylic stem. Man, both the Jacopo and the Dunhill are absolute beauties PeterD. I'm jealous! Orlik Golden Sliced in smooth finished old shape 15 Stanwell Special, Special being the designation for filter pipes before Stanwell started making all of them thus. Gambling with a folded flake this time, looking good 10 minutes into it. I hope it doesn't plug up the pipe later on, I've had enough of tongue bite. I just came from a thai massage too, think I might just fall asleep like this. Black Noble in a 1979 Ascorti Business KS Oom Paul. Starting to run low on this tin now. GLP Fillmore in a Dunhill Billiard. It's one of those out-there '70s designs with the flat shank, shape 519. GLP Stratford in my stanwell bamboo billiard. P&W #515 in a slight bent black pattern etched 1977 Lorenzo Lorsan Sigma level top with a gray swirl colored stem. More GLP Fillmore in an obscenely big Charatan Canadian 4402 I seem to forget about. I dug it out and I'm glad I did! Peterson's 3P in my Growley smooth birthday Rhodesian. Gaslight in a Vauen Barontini. Former's cross grain flake in my Radice rind Rhodesian. Just finished smoking Motzek #8 in a medium bend 1983 Ascorti New Dear KS. Next is VIP Match in a 2003 IMP horn Meer. 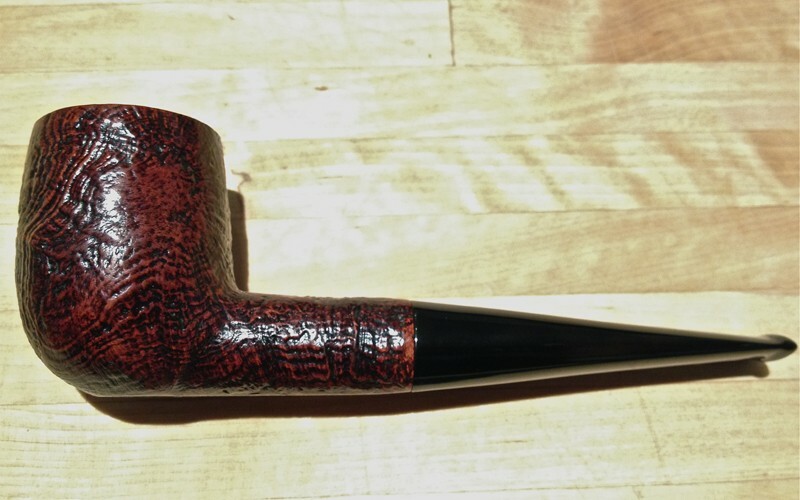 Bald Headed Teacher in a 1983 medium bend, mostly smooth, bottom rusticated Butz-Choquin Maitre Pipier 3 Fait Main. 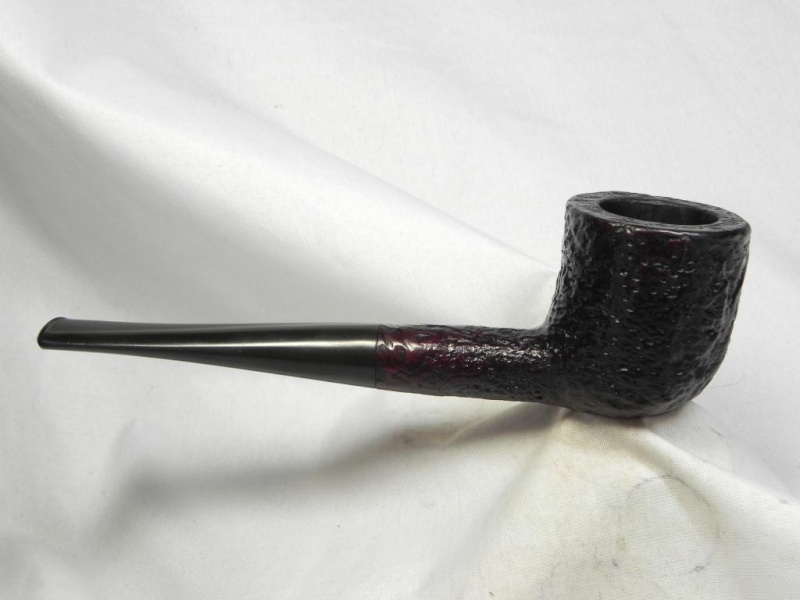 Just finished smoking Heine's Blend in the second pipe I ever bought ($2.49), a 1974 three quarter bend black sandblast etched Dr. Grabow Omega. Next is Tilbury in a smooth 2002 Peterson Sherlock Holmes Series Milverton. A moment or two away from smoking Pelican in a 2002 Ser Jacopo Delecta Fatta A Mano R1 sandblast Rhodesian with a smooth extension at the shank. Half way through this bowl of Hines Match in a straight 1979 MM Legend.